European trains may have more teenage travelers than usual this summer, if all goes according to the plan laid out by the European Commission in its 2018 budget on Thursday. The EU’s executive branch has earmarked €12 million ($14.7 million) to provide between 20,000 to 30,000 young Europeans turning 18 this year with a free Interrail pass, which allows the user to travel across Europe on almost any train. 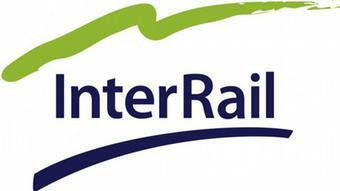 While other EU-wide youth exchange programs already exist, the Interrail project description argued that free tickets would include young Europeans who are not covered by such programs. It would do so by giving them the opportunity to connect to other cultures in the EU through travel, the description said. All those from EU member states born in the year 2000 will be eligible for a free ticket this year, including those in Latvia, Estonia, Lithuania, Malta and Cyprus — EU member state nations that are currently not part of the Interrail network. The 18-year-olds will have to apply for the pass through a “user-friendly system” and an “objective and impartial” selection will then be made, the budget document said. Pass-holders would be encouraged to travel along specific itineraries “so that they really experience Europe (which will include less ‘popular’ destinations),” the document added. The exact number of 18-year-olds who will receive the pass is still to be determined, as is the exact type of Interrail pass to be distributed. The EU Commission also needs to lay out other aspects of the action, including a publicity campaign focused on European values and identity. The preparatory action will continue in 2019 and 2020. The costs of providing every EU citizens who turns 18 with a free Interrail ticket are estimated to be more than €1 billion.